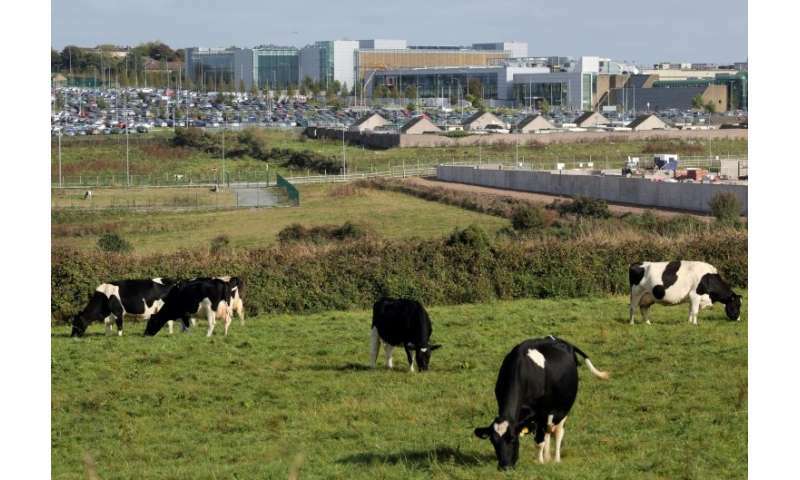 US tech giant Apple announced Thursday it had shelved plans to build an 850-million-euro ($1.0-billion) data centre in Ireland over a court battle with conservationists seeking to preserve a forest. "Several years ago we applied to build a data centre at Athenry. Despite our best efforts, delays in the approval process have forced us to make other plans and we will not be able to move forward with the data centre," the company said in a statement. "While disappointing, this setback will not dampen our enthusiasm for future projects in Ireland as our business continues to grow." The Silicon Valley giant believed it had got the green light in October when a High Court judge dismissed appeals brought by three campaigners, who were concerned about the environmental impact of the project which was to occupy nearly 166,000 square meters (nearly 1.8 million square metres), or roughly 40 Premier League football pitches, in County Galway, west Ireland. But the campaigners won last week their Supreme Court bid for their appeal to be heard, delaying the process even further. Apple said it was "proud of the many contributions we make" to the Irish economy, and insisted it was still "deeply committed to our employees and customers" in Ireland. The project, which was first announced three years ago, would have been the biggest private investment in western Ireland. Apple has its European headquarters based in the southern Irish city of Cork, but has run into problems in the country. The Irish government last month said it was signing a deal for the US tech giant to pay 13 billion euros in back taxes as ordered by the European Commission, which said it had received favourable terms that amounted to state aid. The government claimed that Apple has paid the full amount due to the Irish state from 2004 to 2014 and denies it gave it "selective treatment". But the European Commission said Apple paid an effective corporate tax rate of just 0.005 per cent on its European profits in 2014—equivalent to just 50 euros for every million. Paul Keane, founder of Facebook group "Athenry for Apple", which comprises 6,000 members, called the decision "an absolute hammer blow to the locality and to rural Ireland." "Thanks to a very poor planning system and objections we are now left in limbo in the west of Ireland," he told AFP. "The people of Athenry are going to be very angry and upset with government and objectors once they hear the news". Apple had promised to hide the centre in the forest, make good any damage done and use renewable energy to power the centre. Planning approval was quickly granted but objections were filed on environmental grounds. The US firm met five key concerns in 2016, but were held up again by appeals from three local residents, raising doubts that it would ever be approved. Ireland believes the project would have created around 300 construction jobs and 150 permanent jobs.